This project is building a community of university teachers who are using online role play. We have developed a repository of sharable/reusable role play learning designs and are working towards an associated peer review process. 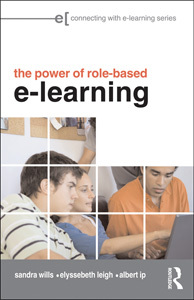 The two year project (2006-2009) doubled the number of role play designers by scaffolding beginners and establishing national and international role play partnerships. Initially an Australia-focussed initiative, we are continuing our search for more role plays and role play designers, now world-wide. This project covers educational role plays in Australian universities designed to increase understanding of real life human interaction and dynamics. The project continued to refine the definition and decided to broaden it as shown in our Simulation Triad.